NEW DATE. NEW LOCATION. SAME INCREDIBLE MISSION. Ronald McDonald House Charities of Alabama is thrilled to open registration for the 15th Annual Red Shoe Run. We have many exciting changes to the 2019 event! 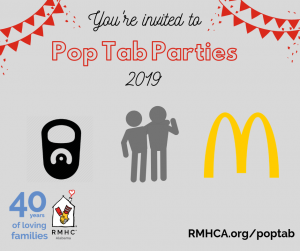 The 5K and 1 Mile Fun Run will take place Saturday, March 16, 2019 and start and finish at the Ronald McDonald House in downtown Birmingham. After the 5K and fun run, participants will enjoy a block party with music vendors and lots of fun! Early bird registration is available now so take advantage of the special pricing before it’s gone! Not ready to run, or perhaps you’d just like to fundraise? Select the Snoozer option at registration and you’ll be prompted afterwards to set up a fundraising page. We’re so grateful to everyone for their support of Red Shoe Run and we can’t wait to see you March 16! Looking to VOLUNTEER? Visit redshoerun-bham.org and click the “volunteer” button at the top of the page to register! Thank you for your interest!